The village weaver, also known as the spotted-backed weaver or black-headed weaver (the latter leading to easy confusion with P. melanocephalus), is a species of bird found in much of sub-Saharan Africa. This often abundant species occurs in a wide range of open or semi-open habitats. The nests are the round suspended objects. 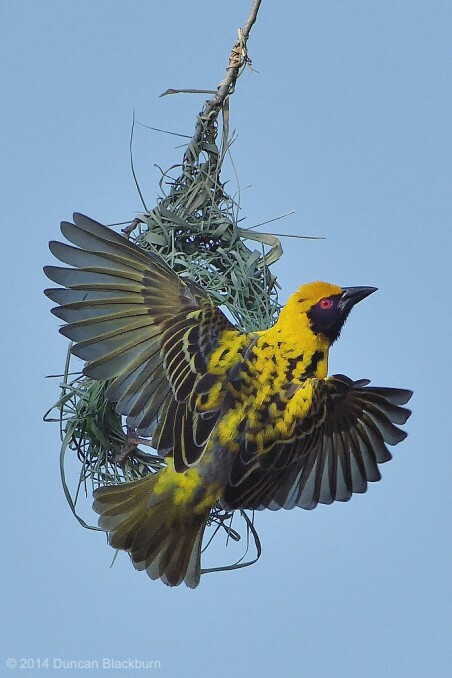 This weaver builds a large coarsely woven nest made of grass and leaf strips with a downward facing entrance which is suspended from a branch in a tree. 2-3 eggs are laid. This is a colonial breeder, so many nests may hang from one tree. The village weaver is a stocky 15–17 cm bird with a strong conical bill and dark reddish eyes. 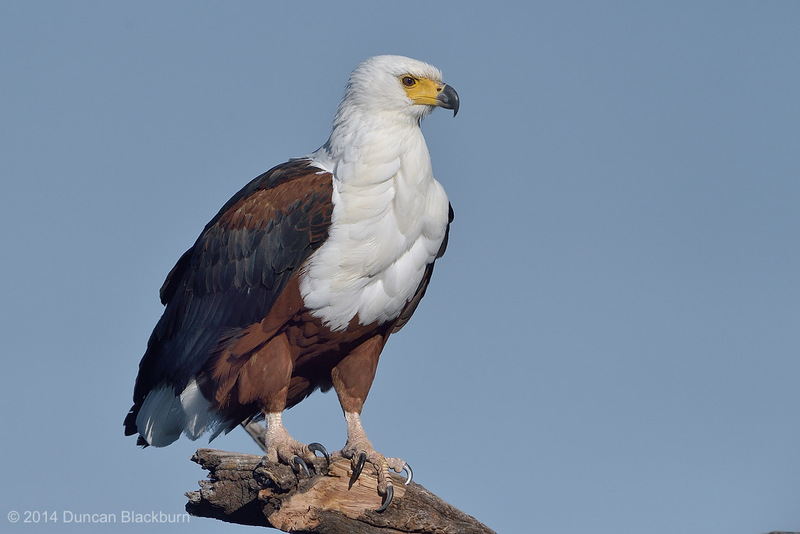 In the northern part of its range, the breeding male has a black head edged by chestnut (typically most distinct on the nape and chest). Towards the southern part of its range, the amount of black and chestnut diminish, and the breeding males of the southernmost subspecies only have a black face and throat, while the nape and crown are yellow. In all subspecies the breeding male has a black bill, black and yellow upperparts and wings, and yellow underparts. 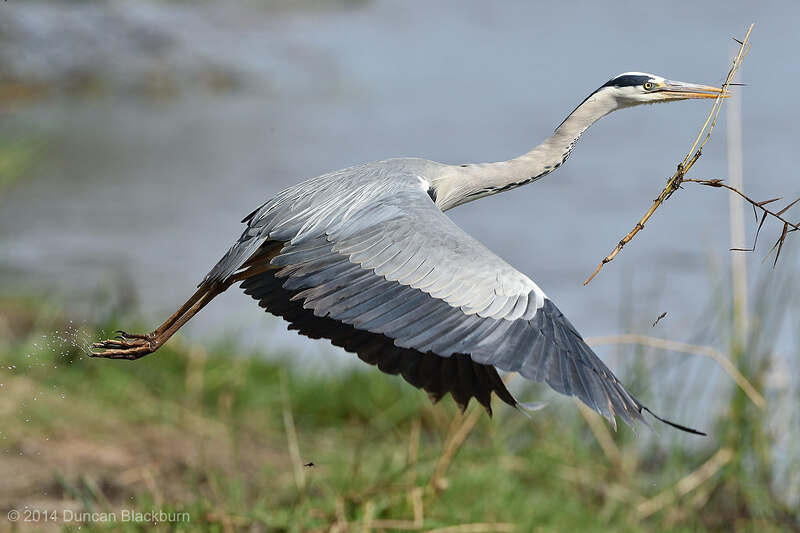 The non-breeding male has a yellow head with an olive crown, grey upperparts and whitish underparts. The wings remain yellow and black. The village weaver feeds principally on seeds and grain, and can be a crop pest, but it will readily take insects, especially when feeding young, which partially redresses the damage to agriculture. This image was captured at Lake Panic, close to the Skukuza Rest Camp, Kruger National Park, South Africa.